Dr. James McKivigan is a retired United States Navy physical therapist and chiropractor who is a professor at Touro University in Henderson, Nevada. He has served in a variety of clinical settings including acute care, rehabilitation, home health, and outpatient care. He is active in professional associations including American Physical Therapy Association, Nevada Chapter of the American Physical Therapy Association, the American Chiropractic Association, Nevada Chiropractic Association, and past member of the Florida Chiropractic Association. Lee E. Brown, EdD, CSCS*D, FNSCA, FACSM, received his B.S. in physical education from East Tennessee State University in Johnson City, Tennessee and completed his graduate work and obtained his Ed.D. from Florida Atlantic University in Boca Raton, Florida. While a graduate assistant, he was responsible for isokinetic performance testing specifically designed to determine human responses to high velocity training. Dr. Brown joined the faculty at Cal State Fullerton in 2002 and is the current Director of the Center for Sport Performance and the Human Performance Laboratory. Prior to coming to California, he spent two years at Arkansas State University in Jonesboro, Arkansas as director of the Human Performance Laboratory. Before Arkansas he was in Florida for 16 years serving as research director for an orthopaedic surgeon’s office and teaching and coaching at the public school level. He was President of the National Strength and Conditioning Association (NSCA) and is a Fellow of both the American College of Sports Medicine (ACSM) and the NSCA. He also served as President of the NSCA Foundation overseeing an almost four million dollar endowment. Amisha Klawonn is an Assistant Professor in Physical Therapy and an Orthopedic Residency faculty member at A.T. Still University, a Board Certified Orthopedic Clinical Specialist through the American Physical Therapy Association and a Fellow in the American Academy of Orthopedic Manual Physical Therapists. She received her Doctor of Physical Therapy degree from Slippery Rock University and completed the Kaiser Hayward Physical Therapy Fellowship in Advanced Orthopedic Manual Therapy. Amisha has over 15 years of physical therapy experience in orthopedics and currently incorporates spinal rehabilitation, Pilates and Yoga into her clinical practice at her private practice in Phoenix, AZ. She is an avid yoga practitioner and has completed her formal training through the Professional Yoga Therapy Institute. Xiaofen D Keating got her B.S, and M.Ed. in Physical Education Pedagogy and Athletic Training at Beijing Sport University (BSU)in China. She then held a faculty position at BSU for seven years. After getting her Ph.D. degree in Kinesiology at University of Illinois at Urbana-Champaign, Dr. Keating was a faculty at California State University at Los Angeles for seven years and is currently an associate professor in the department of curriculum and instruction at The University of Texas at Austin. She teaches research design and physical education teacher education coursesin the Department of Curriculum and Instruction. To date, she has publishedmore than 40 peer-reviewed articles, four chapters in a book called “Curbside Consultation in Pediatric Obesity” for pediatricians. She is the co-editor of a textbook --Lifetime learning: Effective secondary physical education program, which is to be published in China in 2016 and conducted more than 100 presentations at international, national, and state conferences. She is active in a variety of professional organizations including SHAPE America (former Alliance of Health, Physical Education, Recreation, and Dance), International Council of Health, Physical Education, Recreation, Sports and Dance, and Texas Association of Health, Physical Education, Recreation, and Dance. She is one of the executive editors of Journal of Yoga and Physical Therapy; an associate editor of ICHPER-SD Journal of Research; and an editorial board member of Journal of Teaching in Physical Education. She was awarded the scholar of the year 2015-2016by SHAPE America Southern district, and Texas Association of Health, Physical Education, Recreation, and Dance, respectively. Predrag Nikic is a founder and President of the International Society for Scientific Interdisciplinary Yoga Research. He is President of the General Meeting of the Yoga Federation of Europe. He serves as a Professor at the International Yoga Academy and University professor for years. He is founder and Editor-In-Chief of the International Scientific Yoga Journal SENSE and president of the Society for Yoga Therapy. He is also member of the Advisory Board of Asian Association of Applied Psychology and member of the Editorial Board of Indian Journal of Psychology.He devoted a years of his work to the affirmation of yoga, promoting the academic approach to yoga.He initiated foundation of the International Yoga Academy in Europe, seated in Vienna and Prague, contributing to the promotion of the academic approach to yoga.He developed the Concept of Yoga Intelligence.He conducted his first postdoctoral research in the field of Yoga Intelligence in 2013 at the Institute Patanjđali, Haridwar, India and second, during 2014-15 at the University Vivekananda, Bangalore, India.He is a member of the scientific boards of the most prestigious conferences on yoga in the world and is a frequent guest lecturer in the field of yoga at the Universities. Dr.Rosario is a Physical Therapist, Naturopath, Chiropractor and Acupuncturist in Brazil. His interest and expertise extend from the areas of manual therapy, posture to acupuncture and emotions. He is developing a 3D model for accurate postural assessment. As a Post-doctoral fellow at one of the best Medical School in South America, he created a methodology called Postural Balance, based on Yoga, which is a way of treating posture through the myofascial chains, movement and emotionalrelease. He is also a University Faculty and International lecturer. 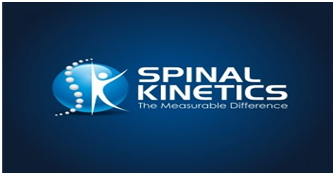 He has trained over 500 course participants in the Postural Balance concept and methodology. Author of several books and book chapters, his research is focused on clinical practice, aiming to achieve better treatment results for patients. In search of cheap and efficient treatment he has recently studied the effect of mindfulness and meditation or the effect of religious beliefs on the human emotional-postural system. Professor Magdy Elhossieny Elewa received his B.Sc. in Physical Therapy from Cairo University Eygpt and completed his post graduate studies and obtained his Ph.D. from the above mentioned university. Professor of Musculoskeletal Physical Therapy- Zagazig University- 1985- now and was responsible for the Human Performance Laboratory. Professor Magdy was the Ex. Inaugural Chairman and manager of Physical Therapy Department and program- Faculty of Medical Rehabilitation Sciences- Taibah University- KSA- 2010-2013. Chairman of Sports Health Sciences department Zagazig University- 2014- now. Registered as Consultant Physical Therapy in the General Physical Therapy Syndicate Egypt 1995- now. Published 15 books in Athletic Injuries, Community-Based Physical Therapy, Communication and Interpersonal Skills in Physical Therapy, Health Education, Postural Education, published more than 35 research work in all the fields of Physical Therapy. Ganesh Shankar is Professor and Head- Yoga Psychotherapy, School of Educational Studies, Sagar University, Sagar - M.P.-India; President of the World Council for psychotherapy (Asian Chapter) since 1999; Founder President of the Asian Federation for Psychotherapy (2001); Honorable General Secretary of Yoga & Psychotherapy Association of India since 2001; Former Dean of School of Education, Dr. Harisingh Gour Central University, Sagar (Madhya Pradesh)-India; Former Director, Central Council for Research in Yoga & Naturopathy in the Ministry of Health, Government of India. Preparation of Critical Editions of authentic yoga texts, EMG studies in ‘asanas’ compared with isometric exercises, Management of Bronchial asthma through yoga –Clinical Research,Preparation of ‘Yoga Kosha’-Dictionary of Yogic Terms,•	Cardiac output in comparable Breathing exercises and Pranayamic breathing. Dr.Mukund V. Bhole was Deputed by Govt. of India as Medical expert in Yoga to visit former Czechoslovakia through Cultural Exchange Program for five months. Based on my lecture-demonstrations, Czech Govt. officially recognized Yoga under medical rehabilitation and also for physical culture. Crash training courses were organized for rehabilitation workers and Yoga classes for common people in Sept.1973. Frequent invitations by Czechoslovak Science Academy from 1975 to 1985 Worked with Neuro-physiologist, Dr.Ctibor Dostalek and other neuroscientists in laboratory experiments. Jan. 1975: Visited Iran through Indian Council for Cultural Relations for 3 months. Delivered lectures on Yoga Therapy in three important medical colleges/universities. 1983-1984: Was deputed by ICMR to work on Yoga Research Project in the Central Cardiology Institute in Moscow, Russia under Indo-Russian co-operation program. 2014-16: Active involvement in the preparation of documents submitted to UNESCO and WHO. Invited from time to time to work for Central Council for Research in Yoga and Naturopathy (CCRYN) and Morarji Desai National Institute of Yoga (MDNIY) as a Resource person in conferences and for evaluation of research projects and International Day of Yoga, 2015-16. Professor Koneru Ramakrishna Rao is a philosopher, psychologist and educationist with vast experience in national and international arena as a teacher, researcher and administrator. He studied philosophy under the tutelage of professors Saileswar Sen and Satchidananda Murthy at Andhra University and with Richard McKeon at the University of Chicago. He worked with Dr. J. B. Rhine at Duke University and later headed his Foundation for Research on the Nature of Man as its Executive Director. taught philosophy and psychology at Andhra University beginning in 1953 until 1982. From 1984 to 1987, he served as the Vice-Chancellor of Andhra University. He later headed the Andhra Pradesh Commisionarate of Higher Education and was the Adviser to Government of Andhra Pradesh on Higher Education in the rank of Chief Secretary. He is considered an authority in the areas of Indian psychology, consciousness studies, Yoga and psychical research. Ayurveda/Herbal Medicine (Clinical Research) with or without Physiotherapy and/or Yoga/Naturopathy intervention, Pharmaceutical Research, Quality Control and Phyto-chemical Analysis, Pharmacological Research and Literature Research in aforesaid subjects. Dr. M.M. Padhi is Ph.D. in Ayurveda with specialization in Internal Medicine. He superannuated as Deputy Director General from Central Council for Research in Ayurvedic Sciences after about 35 years of service; also held the charge of Director of Central Council for Research in Yoga & Naturopathy, Pharmacopoeial Commission of Indian Medicine under Government of India. He was involved in execution, coordination, monitoring and guiding research projects in aforesaid research Councils. There are more than 220 articles; 65 books/monographs/technical reports to his credit. He has attended and/or presented papers in 119 national/international seminars/conferences/workshops; has been PG/Ph.D. examiner in several Universities; foreign visits to 12 countries. He had been Editor/Executive Editor about 10 years in the three journals published by CCRAS. Apart from author/co-author, he has been editor/reviewer of several research projects of other scientific organization and publications. Dr. K. H. H. V. S. S. Narasimha Murthy born in 1962 at Vijayawada in Andhra Pradesh, India. Dr. Murthy graduated in Ayurvedic Medicine and Surgery from Dr. Nori Rama Shastri Govt. Ayurveda College, Vijayawada affiliated to Acharya Nagarjuna University, Guntur in 1988. Then he joined Banaras Hindu University as a Resident PG Scholar in the Department of Kayachikitsa, Faculty of Ayurveda, Institute of Medical Sciences. He did his M. D. in Kayachikitsa-Manas Roga from BHU under the supervision of Prof. R. H. Singh in 1991. During his three years Residency at BHU Dr. K. H. H. V. S. S. Narasimha Murthy conducted a good piece of clinical research in Ayurvedic Psychiatry and published many scientific papers. After his post graduation he worked as Lecturer and Reader & Vice-Principal and Medical Superintendent, Chief of Ayurvedic Manufacturing unit at the Venkataramana Ayurveda College in Chennai affiliated to The Tamilnadu Dr. M.G.R. Medical University, Chennai till 2002 after which he joined the Faculty of Ayurveda, BHU as Lecturer in Kayachikitsa-Manas Roga. He specially trained in Pancha Karma at Arya Vaidya Shala, Kottakkal, Kerala in 1998. From Sampurnanand Sanskrit University, Varanasi Dr. Narasimha Murthy was awarded Ph. D., in 2008. Dr. Narasimha Murthy is Question paper setter, Examiner, Thesis evaluator at Entrance and Final Examinations of Under graduate, Post-Graduate, Doctoral (Ph. D.,) levels in different Universities in India and abroad. Exercise Physiology: Energy, nutrition, training and performance, Oxidative stress and free radical biology, Yoga and Life Style Management. Endocrinology: Endocrinology with special reference to Reproduction and Exercise. Ergonomics: Workspace evaluation, occupational health and productivity study. Dr. Indranil Manna has done Ph.D. on Physiology from Vidyasagar University, Midnapore, India, in 2008. He has 16 years experience in the field of Teaching and Research. His research interest include: Exercise Physiology, Yoga and Life style management, Endocrinology, Ergonomics etc. His research at Dept. of Exercise Physiology, Sports Authority of India, Bangalore, from 1999 to 2000 was on Energy, nutrition, training and performance. His research at Dept. of Surgery and Radiology, West Bengal University of Animal and Fishery Sciences, West Bengal, from 2000 to 2003 was on Endocrinology with special reference to Reproduction and Exercise, Oxidative stress and free radical biology. He worked as Assistant Professor in Physiology, from 2004 to 2010 at Janaki Medical College, Janakpur, Nepal and teaches Physiology to MBBS Students. From 2010 he is working as Assistant Professor in Physiology at Midnapore College, Midnapore, West Bengal, India and teaches Physiology to under graduate and post graduate students. He is also Guest Faculty at Vidyasagar University, Midnapore, West Bengal and teaches Physiology & Nutrition to post graduate students. He is also working as Guest Faculty at Department of Health Sciences, FIT, MRIU, Faridabad, Hariana, India and teaches Physiology to MPT, BPT, B. Sc. Nutrition and B. Sc. Sports Sciences. He is member of various scientific bodies. He has participated and organized several conferences in physiology. He has published several research and review papers in different reputed Journals. He is member of Editorial Board of different Journals, and review research papers on regular basis. Dr Kamakhya Kumar is a well known author in the area of Yogic Science. He has gone through the ancient scriptures of India and the various Yogic texts. He has got Doctorate in the area of Yogic Science under supervision of Dr Pranav Pandya, Chancellor, Dev sanskriti Vishwavidyalaya in the auspicious presence of the President of India H. H. Dr. A.P.J. Abdul Kalam in the Year 2006. He has extensive research experience including the application of Yoga as a therapy aid in a research project entitled “Effect of Yogic Practices on Cardiac, Autonomic and Metabolic Parameters in patients of Coronary artery Diseases”. His tremendous experience has led him to supervise Research as a Guide in the university. He is the Author of ten reputed books and over sixty Research Articles published in the national and international journals. He is a founder faculty member of the Dept. of Yoga and Health at Dev Sanskriti University, Haridwar, India. He is working as Associate Professor and Head, deptt. of Yoga, Uttarakhand Sanskrit University Haridwar India. He is also associated with two journals namely: International Journal of Yoga and Allied Sciences and International Journal of Science and Consciousness as Chief Editor. He has conducted conferences and workshops on Yoga several times. He is a life member of several Yoga Associations across the Globe including: World Yoga Foundation, Indian Council of Yoga Therapy, and Indian Association of Yoga. Dr.Ajay Bhardwaj (M’42) was born in Nalanda, India, in 1972. He received the B.A. degree in English Honors from the Magadh University, Bodha Gaya, India, in 1991, and the M.A. degree in English from S.K University, Dumka in 992. He also completed Post Graduate Certificate course in English Proficiency with a brilliant record from Dev Sanskriti University, Haridwar, Uttarakhand, India in2007. He also acquired Masters Degrees in Human Consciousness and Yogic Science and Journalism and Mass Communication from Dev Sanskriti University, Haridwar, Uttarakhand, India in 2005 and 2007, respectively. He was awarded PhD degree from Dev Sanskriti University, Haridwar, Uttarakhand, India in 2012 in the auspicious presence of the honorable president of India Dr. Pranav Mukherji. In2007, he joined the Department of Journalism and Mass Communication, Dev Sanskriti Vishwavidyalaya, Haridwar, as a Lecturer, and in 2015 became a Sr. Assistant Professor. Since 2008, he has also been with the Department of Yoga and Health, DSVV, Haridwar where he has been teaching post graduate and other courses. His current research interests include Yoga philosophy and Yoga journalism. He has been a visiting fellow to many universities in India. He has authored the book titled Human Consciousness and Yogic Science published from the D.K Print world, New Delhi in 2016. His research papers and articles have been published in various national and international journals and magazines and newspapers. He has presented papers in national and international Seminars. He brilliantly possesses the Reporting, Editing and Reviewing experiences as a journalist. He has been a member of the RDC and BOS at DSVV, Hardwar. Several students have completed his Dissertations and PhDs under his supervision. Psychophysiology of Yoga; Therapeutic Applications of Yoga; Yoga for Perception & Performance; Yoga for Rehabilitation;Higher states of consciousness induced by meditation; Yoga in Integrative Medicine; Professional Medical Education in Yoga. Yoga; Naturopathy; Ayurveda- Ayurvedic diagnosis; pathogenesis; Diabetes mellitus; Obesity; Menopausal syndrome; Infertility; Cancer. Dr. Priyadarshini Tewari, working as Assistant Professor-St II, in the Department of Vikriti Vigyan, Faculty of Ayurveda, IMS, BHU, Varanasi. Having teaching experience of more than 16 years of UG, more than 10 years of PG, also associated with teaching ‘Health Management’ to the students of MA in Integrated Rural Development & Management, Faculty of Social Sciences, BHU. Presented more than 15 research papers and posters in National & International seminars and conferences. Published one chapter in Book and more than 17 papers published various National, International, local journals and magazines. Invited lectures and guest lectures 7. Completed research project funded by BHU on “Molecular genetics Analysis of Ayurvedic –Prakriti and Diabetes Mellitus”. Member of Editorial Board for various journals.